No matter who you are, you are traveling through life on an intimately personal and unique path. When that path becomes complicated by compulsive behaviors, drugs, or alcohol, continuing that journey safely may be quite difficult. Feelings of self-loathing, shame, guilt, or regret can greatly affect the choices you make, and even perpetuate the problem–leaving you feeling like the path you’re on is more of a dead-end road. The life of an addict can be lonely, and you know that isolating struggle all too well. Not only have you distanced yourself from family members, friends, and co-workers, but you’ve also begun to distance yourself from someone even more important: you. Chances are, when you look in the mirror, you see someone you may not like, let alone love. Maybe you don’t even recognize your reflection. While everyone’s struggle is different, one thing holds true for all those whose lives are tangled in addiction: you have to learn to like yourself before you can love yourself. And, before you can truly begin to heal, you must fully commit to treatment and recovery with an open heart and mind. Tracy Shields, blogger, author, and entrepreneur, has a story to which anyone struggling with addiction can relate.[1. http://thelovelyaddict.com/links/] Though she wasn’t addicted to hard drugs or alcohol, she had a long battle with nicotine and love addiction (yes, that is a real and often times serious process addiction) that completely turned her life upside down. After a failed marriage, an emotionally-abusive long-term relationship, and an immense amount of self-reflection, she realized something simple: her questionable actions, poor choices, and gravitation toward unhealthy relationships were ultimately reflections of the ways she felt about herself. Because she had avoided herself for so long, this was difficult to begin doing–even uncomfortable. Think about it: wouldn’t it feel slightly weird to approach a stranger on the street and strike up a conversation as if you had known that person forever? Unfortunately, if you see yourself as a stranger, you might not even know how to befriend yourself. It might feel weird, foreign, and out-of-place–but it will be worth it. Tracy, through lots of hard work, therapy, journaling, and self-reflection, is now able to look into the mirror she once cringed at and understand, and know with her whole being, who she is looking at. Tracy has now made friends with the woman she sees in the mirror. As you begin to appreciate and truly love yourself for all of your quirks, flaws, and mistakes during therapy sessions and individualized activities at Alta Mira, it is also important that you put time and energy into forming new connections with other people. This takes courage, and may be much more difficult for some than others–but without great risk there is no reward. Once you begin looking at yourself in the mirror with pride and acceptance, your self-esteem and confidence will gradually begin to rise. This, of course, is two-fold: the better you feel about yourself, and the better you are at being your own friend, the more likely it is that you will open yourself up to the possibilities of befriending someone else. So why connect with others? You’ll just let them down, right? Those thoughts are not only detrimental to those that care about you, but also to yourself. Anticipating failure in relationships before they even begin signifies a fear of rejection, and therefore, a lack of trust in the fact that you are worthy of friendship and love just like anyone else. Nothing in your past can change that. Plus, forming friendships with people just plain feels good: connecting on more than a surface level with someone, such as over common interests, goals, or desires, releases oxytocin, the “love hormone”–which can drive us to form deep bonds with others. Connecting with someone not only feels good, but it can also heighten the burgeoning friendship you have with yourself. Journaling: Not only will this allow you to feel safe while expressing yourself, but it can be a great way to see how far you’ve come and how you’ve grown throughout your time at Alta Mira. Utilizing journaling as a therapy technique is common, successful, and easy–as long as you remain dedicated. 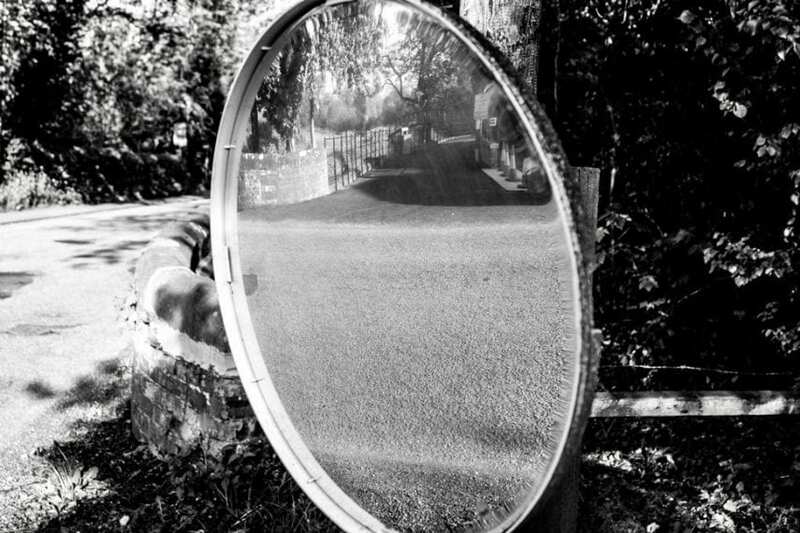 Mirror time: Perhaps a group therapy leader or a close friend will implement “mirror time” into your treatment, or perhaps it’s something you try yourself. Take one full minute to look at yourself in the mirror, right in the eyes, and repeat affirmations either silently or aloud. This will reinforce and solidify the work you are doing, while getting you used to really seeing yourself as someone worthy of love. Meditation: Amongst the many types of treatment available at Alta Mira, varying holistic therapies are some of the most life-changing. Guided meditation practice and yoga can help you to calm anxieties, reduce stress levels, and find peace within yourself. Outdoor activities: Not only do the great outdoors smell wonderful, but they will enliven your spirit and soul if you allow them to. Equine and wilderness therapy are among the few types of treatment that Alta Mira offers in order to bring fresh air to your friendships and sense of self. No matter what type of addiction you’re facing, befriending yourself can be the best thing you do on your road to recovery–and can greatly influence the rest of your life. After all, once you begin to look yourself in the eyes and smile, who else will, too? Fighting addiction can be difficult and scary–but with proper treatment and care, you can take the steps necessary in becoming a healthier and happier version of yourself. Self-love and acceptance are vital in this process, and through varying programs, therapies, and support groups, Alta Mira can provide exactly what you need. If you or a loved one is struggling, please contact us today.